Obituary for Nathaniel Livingston | Larry Smith-Cooper Funeral Home, Inc.
On Thursday, March 8, 2018 at 3:00 AM, Nathaniel “Buddy” Livingston entered into eternal rest in Loris McLeod Hospital. He was born to the late Cordie Livingston and Annie Bell Livingston. Nathaniel also affectionately called “Buddy” was well known as a people’s person, never met a stranger. He was known for his smooth moves on the dance floor, “The Electric Slide”. He accepted Christ as his personal Savior and joined High Hill Missionary Baptist Church. Later down the road, he started to attend Oak Grove Baptist Church and became a faithful member until the death. Nathaniel was joined into Holy Matrimony to Doretha Livingston and to this union three children were born. He was preceded in death by his father Cordie Livingston and mother Annie Bell Livingston. Also preceded in death three sisters: Martha Gause, Cecil Lewis, Annie Mae Yates; three brothers: Cordie Livingston, Paul Livingston, and Eugene Livingston. 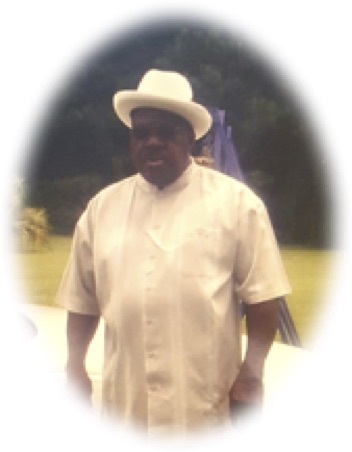 Nathaniel leaves to cherish his memories, his wife Doretha Livingston of the home; three sons: Timmy Livingston and Bernard Livingston both of Conway, SC, and Jamar Livingston of the home; three sisters: Sylvia Hardee, and Clara Livingston of Trenton, NJ, Estherline Pope of Loris, SC; two sisters-in-law: Daisy (Larry) Jones and Mary Washington; two brothers-in-law; Don Oliver and James Streater; seven grandchildren: Lilian Scott, Colin Vaught, Ashier Johnson, Jamel Livingston, Madison Livingston, Thai Livingston and Makella Livingston; best friends: James Streater, Don Oliver and Nelson Watson.